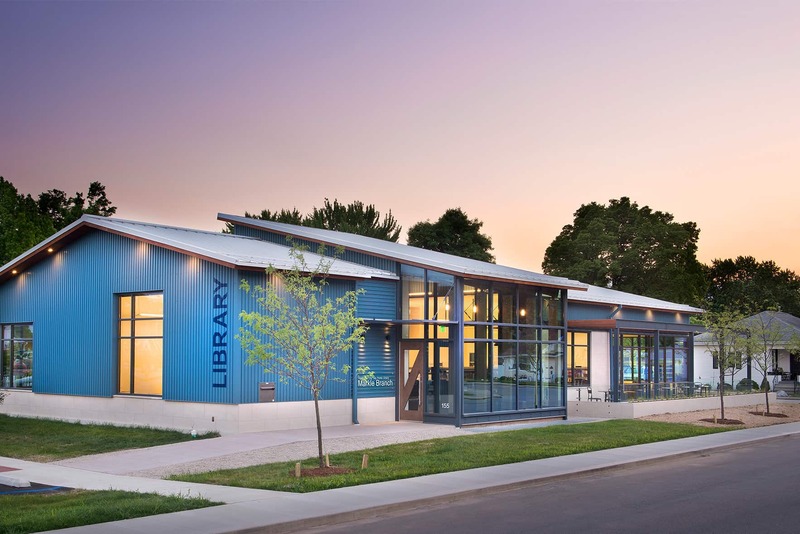 Through the craftsmanship of light, materiality and performance, the new Markle Library’s design respects its neighborhood context and supports the future needs of the library visitors and staff. The design team carefully considered the building’s surrounding neighborhood, scale and materials. 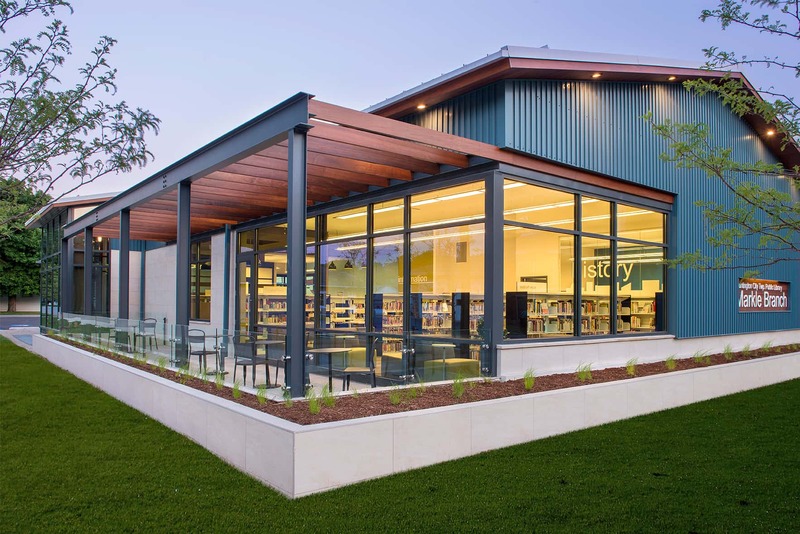 The resulting library echoes a contemporary, single-story craftsman-style building. 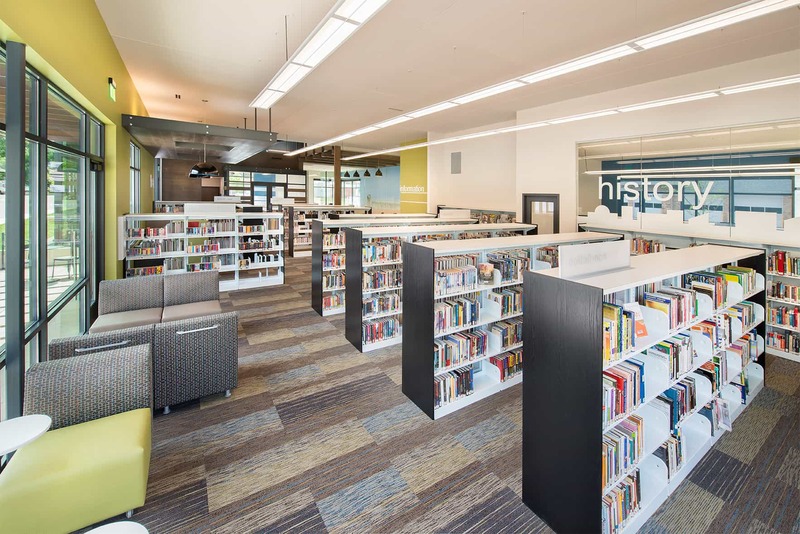 A palette of simple materials were chosen to appear in different applications and details throughout the library’s open floor plan. 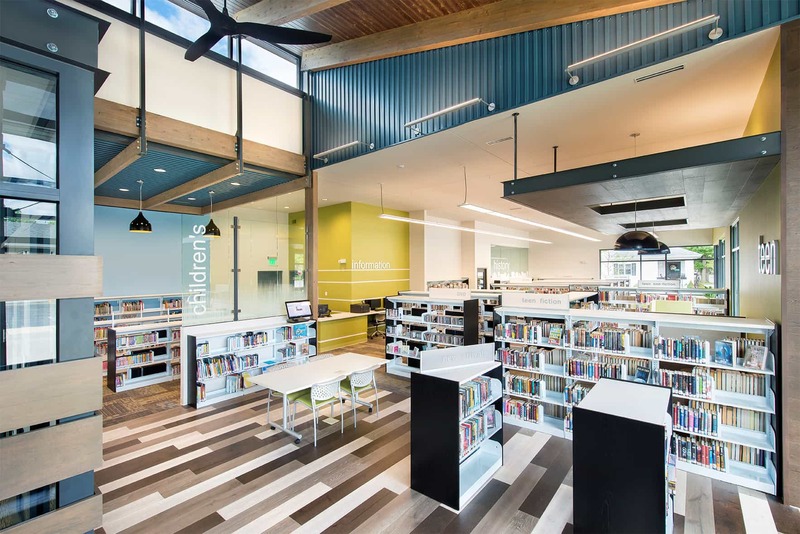 There was tremendous attention to detail to the structural glulam beams, exposed fasteners and hardware, and clean dominant connections. 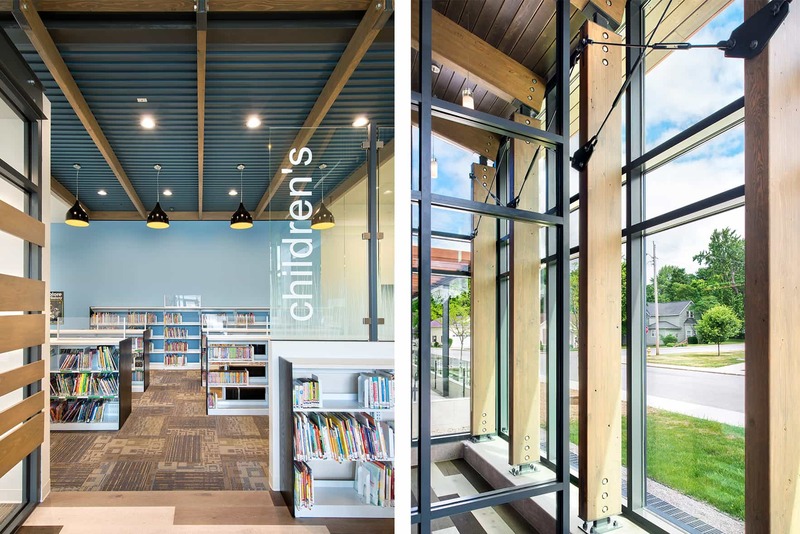 The inclusion of natural light was extremely important, not only to promote reading, but also to showcase the transparency of the library to its community. 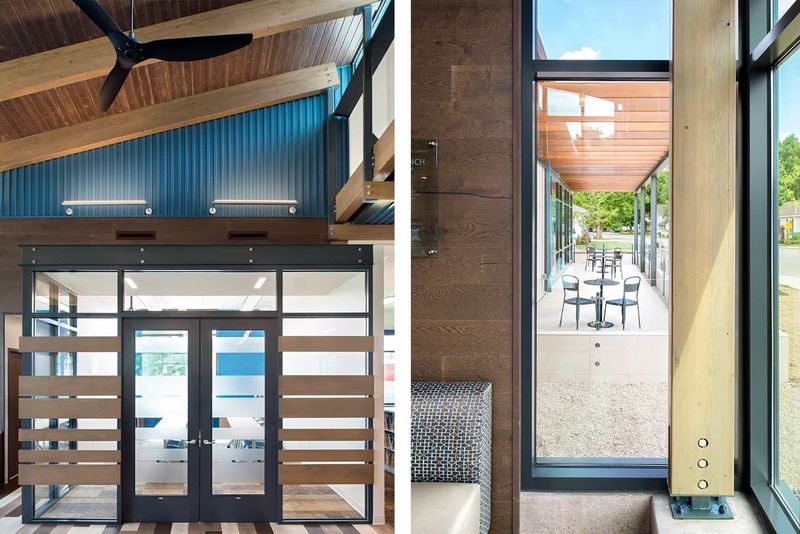 The building’s open floor plan and abundant use of daylighting allows the building’s interior spaces to feel more spacious. Echoing the building’s adjacent neighborhood and its bungalow porches, a private, sheltered patio was created to provide additional seating, to welcome visitors, and create a sense of community.